Did you know at least one player sustains a mild concussion in nearly every American football game? It’s also estimated that 140,000 high school athletes suffer concussions annually nationwide and many return to play before the injury has fully healed. 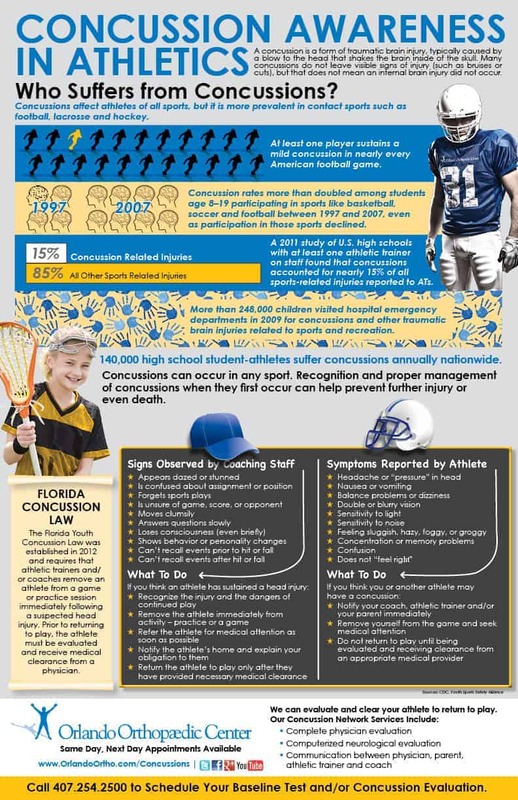 As a result of the staggering injury numbers, Florida passed the Youth Concussion Law in 2012 making it mandatory for an athlete suspected of having a concussion to be cleared by a physician before returning to practice and play. At the Orlando Orthopaedic Center Sports Medicine Center, we have the tools and resources necessary to test and clear athletes to return to the game they love. And with same day, next day appointment scheduling available we may be able to safely return the athlete to play sooner than you think. 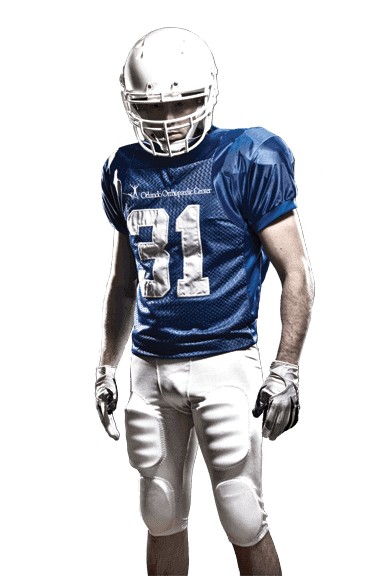 Below you’ll find a list of our most commonly asked questions relating to concussions. If you have a question or concern not addressed here, we would be happy to answer during an appointment with one of our primary care sports medicine specialists. A concussion is a form of traumatic brain injury, typically caused by a blow to the head that shakes the brain inside of the skull. 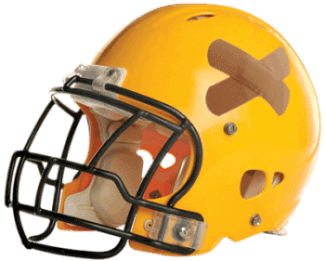 Many concussions do not leave visible signs of injury (such as bruises or cuts), but that does not mean an internal brain injury did not occur. Symptoms of a concussion may include passing out, memory loss and fatigue.Not all concussion sufferers will display outwardly obvious symptoms. Typically, with enough rest many people will fully recover from a concussion anywhere between a few hours and several weeks after sustaining the hit. In some cases, concussions may lead to more serious problems, especially if someone has sustained multiple concussions in the past or has experienced a severe concussion. Long-lasting problems may include social development issues, a dampened learning ability, difficulty moving or speaking, permanent brain damage or death. Because the chance for permanent and severe damage exists, it’s recommended you visit a specially trained physician if your or someone you know is suspected of having a concussion. What does Florida's Youth Concussion Law do? The Youth Concussion Law was put into place on April 27, 2012 and sets tougher restrictions to prevent youth athletes who have experienced a concussion from returning to their sport too soon. After a suspected injury is sustained in practice or a game, the student must be removed from competition immediately by a coach or athletic trainer. Before they are able to return to play they must receive medical clearance from a physician. Another provision of the law mandates that parents must sign a concussion-information form before their child can participate in school sports. What are some common symptoms of concussions? Sideline testing after injury shows confusion, loss of memory, etc. What should be done for a suspected concussion? Report injury to athletic trainer, coach, etc. How long does recovery from a concussion take? What are the steps to healing and returning to play? Computer-based testing (ImPACT, etc.) shows return to baseline (if available) or to expected level of functioning for age, etc. Why is it important to properly treat concussions? Measures verbal and visual memory, processing speed, and reaction time in order to evaluate brain function. How can Orlando Orthopaedic Center help? Orlando Orthopaedic Center’s Michael D. McCleary, M.D., is a primary care sports medicine specialist with the ability and necessary equipment to easily, safely and quickly test, manage and clear athletes of all sports. By using the computer-based ImPACT test, Dr. McCleary is able to test a patient’s ability to recall and process information to measure the brain’s functional level. The test detects abnormal brain patterns, which may be associated with a concussion even when there are no obvious signs or symptoms. Dr. McCleary can then help create a treatment plan and clear the athlete to return to play. more prevalent in contact sports.